Electronics retailer Best Buy plans to close 50 stores and cut $800 million in costs, in response to low margins in the mobile computing space from devices like Apple's iPad. Best Buy's plans also call for the company to cut about 400 positions in its corporate and support structure, allowing it to reach $250 million in reductions this fiscal year, according to The Wall Street Journal. The company currently has about 1,100 full-fledged retail stores, but about 50 of those will close as part of the reductions. The report noted that the popularity of Apple's iPad has contributed to Best Buy's struggles, as the device carries "relatively low margins" for the retailer. As a result, its mobile computing sales business has seen "strained margins" of late. 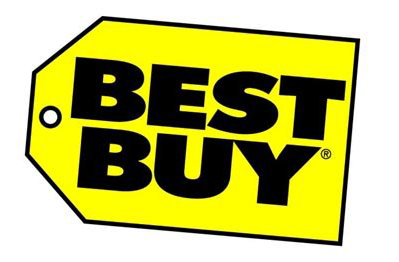 Best Buy reported a loss of $1.7 billion for the quarter that concluded on March 3. It plans to remodel some of its key stores in what it calls a "Connected" format designed to sell smartphones and push video and broadband services. The company also plans to reduce the footprint of its "big box" stores by 10 percent in the coming years. It has also increased its online offerings in an effort to better compete with retailers like Amazon.com. Last week it was revealed that Best Buy sells nearly as many iPhones in America as Apple's own direct sales. A poll of iPhone buyers conducted recently found that Apple's retail stores and online store accounted for 15 percent of all U.S. iPhone sales, while Best Buy represented 13 percent of sales. Best Buy's iPhone sales are significantly higher than Apple's other retail partners, which are Walmart, Target, Radio Shack, and Sam's Club. Together, they were found to account for just 3 percent of iPhone sales in the U.S. Many Best Buy locations have dedicated Apple sections where other products like the iPad, Macs, and the Apple TV are sold. The "store within a store" concept is found at over 600 Best Buy locations, representing more than half of its retail outlets in the U.S.